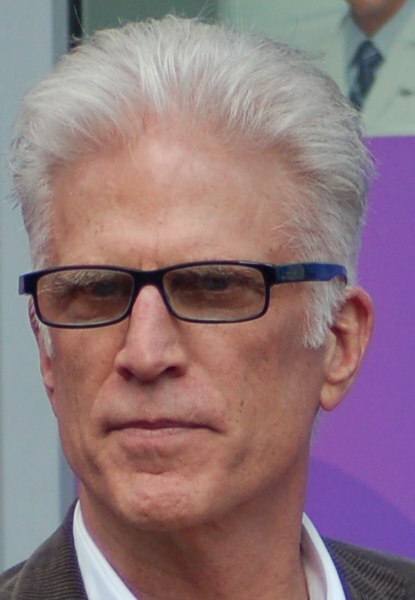 Ted Danson was born in San Diego, California, U.S., on December 29, 1947, is an American actor. Young Ted Danson began his acting career in television soap opera Somerset (1975-1976) in role as Tom Conway. He made his big screen debut in the American crime drama movie The Onion Field (1979) in role as Ian Campbell. Ted's breakthrough performance came as bartender Sam Malone on NBC sitcom Cheers (1982–1993), for which he won two Emmys and two Golden Globes. He won an Golden Globe Award for his role as Steven Bennett in television film Something About Amelia (1984). He's playing Michael in fantasy comedy television series The Good Place, since 2016. He portrayed Hank Larsson in second season of black comedy crime drama television series Fargo (2015). He played Dr. John Becker in sitcom Becker (1998–2004). He portrayed Lemuel Gulliver in TV miniseries Gulliver's Travels (1996). He voiced Pezulu in film Jock the Hero Dog (2011). Received a star on the Hollywood Walk of Fame in 1999. He was married to actress Randall "Randy" Gosch (1970-1975) and to producer Cassandra "Casey" Coates (1977-1993). He married actress Mary Steenburgen in 1995. Was in relationship with Whoopi Goldberg in 1992. Lives in Los Angeles, California, U.S. and Chilmark, Massachusetts, U.S.
Everything I am, everything I've been allowed to do, career-wise, has come out of the opportunity I had with 'Cheers'. I think it's one of the funniest shows ever. They are some of my best friends. To do something funny, you have to have experienced it in real life and digested it in a way that amuses you. 'Cheers' was great. They paired me up with Shelley Long on this tiny bar set for the final audition. That was my first really big one, and we just clicked instantly - I still think I got the part because of Shelley. I think the struggle, whenever you make a film or television movie based on a real person's life, is finding a dramatic arc that will hold an audience's attention. Acting is pretending that you're not pretending when you're actually pretending. I think it's the actor's job - when you think of being typecast or getting out of the shadow of whatever you've had success in - it's up to you as an actor. The industry will always want to hire you for what you were successful in last and what made money. But you can say no to that and look for other parts. I was going through so many changes in my life - separation with my wife, having an affair - that was all very messy and public. It felt like if I really wanted to rock my boat and make changes in my life and who I am and how I am, that would also mean moving on from Cheers.